Putin visited the Saint Sava Church — the biggest Orthodox church in Serbia — along with the Serbian president, Aleksandar Vucic. Bystanders waved Serbian and Russian flags outside the church and held banners reading: "Thank you President Putin" in both languages, while main streets were closed off in preparation for the Russian president's arrival. 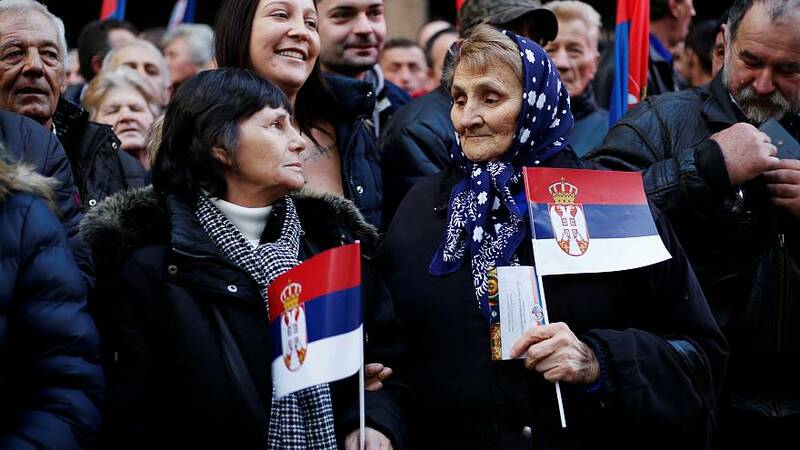 Belgrade has not recognised Kosovo's independence but has accepted the European Union requirement to normalise relations with the former province in order to join the bloc. In an exchange of gifts, Vucic gave Putin a puppy while Putin awarded his counterpart with Russia's Order of Alexander Nevsky medal.